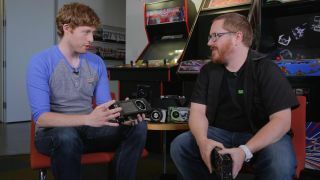 Wes is joined by Maximum PC editor Tom McNamara to talk about Nvidia's latest $1000 supercard, the GTX Titan X. We talk about performance and answer the big question: should you buy it? If your nostalgia centers are tickled by seeing ancient graphics cards like the Doom 3 6600 GT, stick around—we pull out a few and compare their specs to the GTX Titan X, just to illustrate how far graphics tech has come in the past decade. As usual, we answer your questions at the end of the episode. To ask us a question for next week's show, tweet @pcgamer with the hashtag #AskPCGamer.